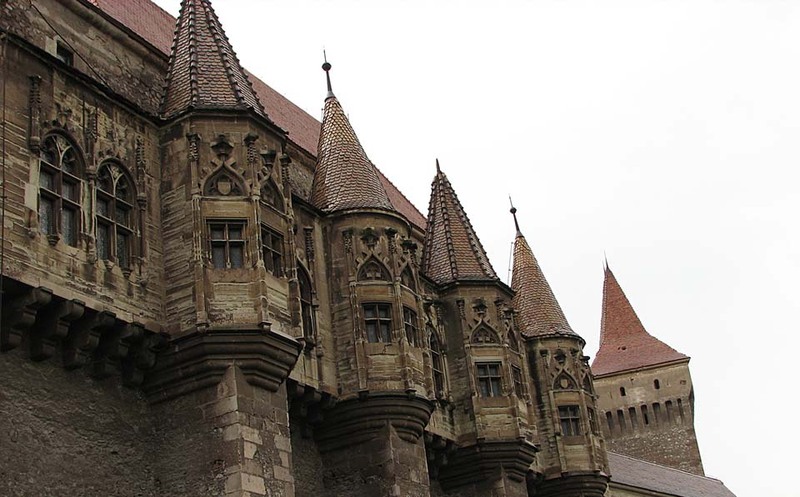 Corvin Castle, also known as Hunyadi Castle or Hunedoara Castle is one of the most impressive medieval constructions in Romania. 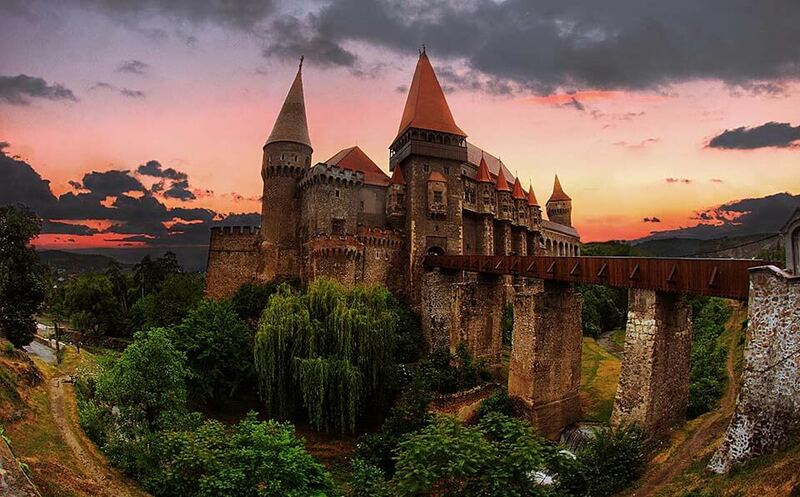 It is one of the largest castles in Europe, and often comes up as the number one of the seven wonders of Romania. 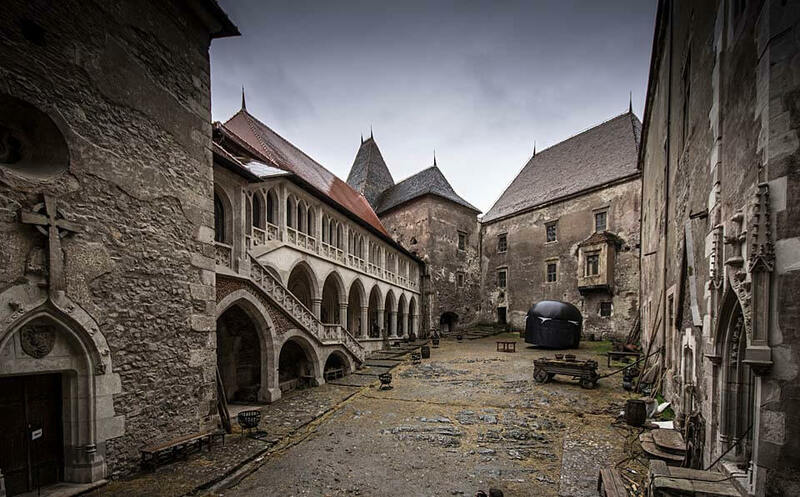 It was built by the Anjou family on the site of a roman camp, and served as a fortress until the mid-14th century when it became the residence of Transylvanian’s ruler Iancu de Hunedoara (John Hunyadi). 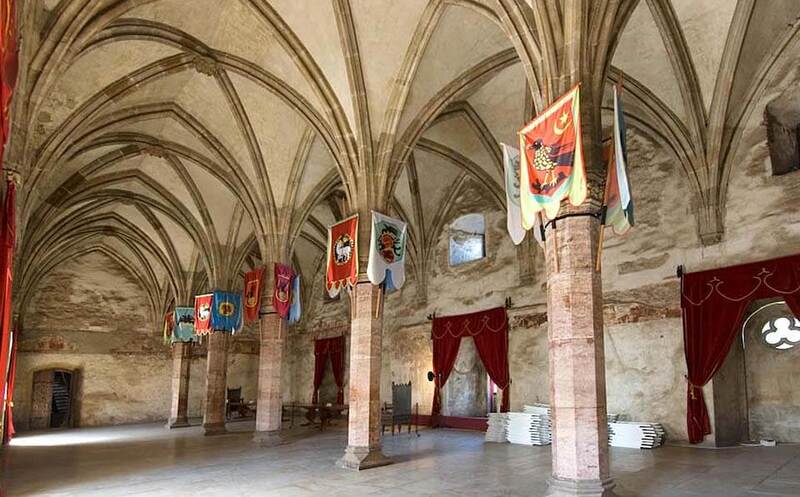 It was originally given to Hunyadi’s father, Voyk, by Sigismund, king of Hungary, as severance in 1409. 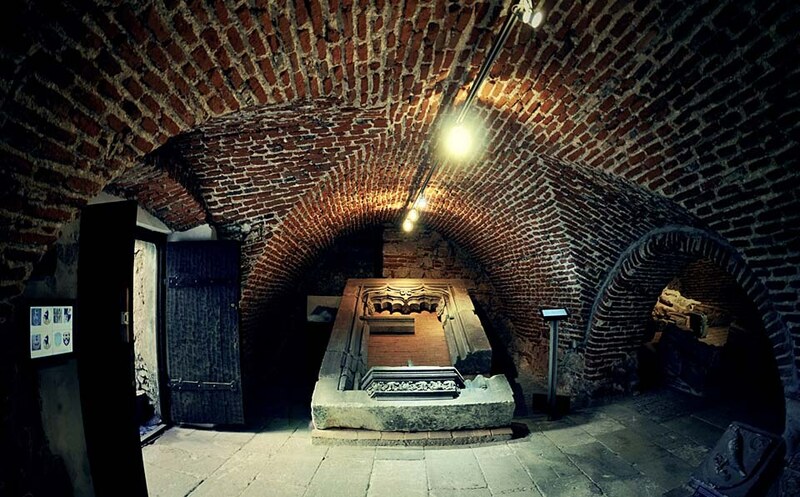 The fortress consists of a series of rectangular halls, connected by both circular and rectangular towers that were used for both defense and as prison cells. 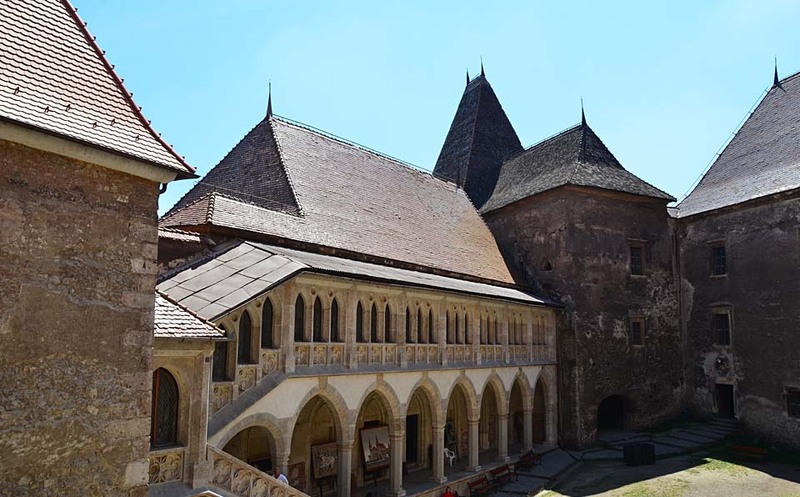 The gallery and the keep-the last tower for defense, which remained unchanged from John Hunyadi’s time, and the Capistrano Tower are some of the most significant parts of the construction.